The beginning of every school year brings along with it many familiar faces. Most students, with the general exception of freshmen, return to school for a new year. The same, for the most part, is true of the staff. But, alongside all of the familiar faces are some new ones, both among students and staff. Below are features on some of Madison’s new staff members for the 2018-2019 academic year. Ginny Keel is an eleventh grade English teacher. 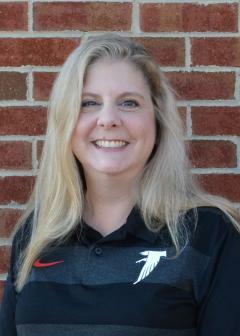 This is her fourth year of teaching, as she was previously a long-term substitute, as well as an assistant wrestling coach alongside her husband at Skyline High School in Front Royal, Va. She loves being a Warhawk, and is very excited about the school spirit within the student body. Keel wants to highlight the importance of using a planner, as well as the importance of taking notes and asking plenty of questions during class. Elise Fasick is one of Madison’s current assistant principals. Before teaching and administrative work, she attended the University of Mary Washington and was an accomplished soccer player, even appearing on the front cover of a magazine. 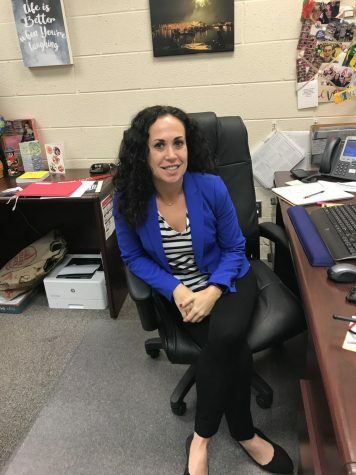 She then moved onto becoming a Spanish teacher, then became a Dean at Justice High School in Falls Church, Va. Fasick believes Madison is very warm and welcoming, and she wants to get to know the students and establish bonds with them. Taylor Weuve is both an athletic trainer and an instructional assistant here at Madison. She is from Green Bay, Wis., and is a Packers fan. Weuve attended Lincoln Memorial University in Harrogate, Tenn., as well as the University of Wisconsin-Stevens Point. Before coming to Madison, she taught Functional Anatomy at Buena Vista University in Storm Lake, Iowa. She has been an athletic trainer for three years. “Coming into the position, Mr. [John] Kenny and Dr. [Cheronda] Farrish only had good things to say about the students,” Weuve said. 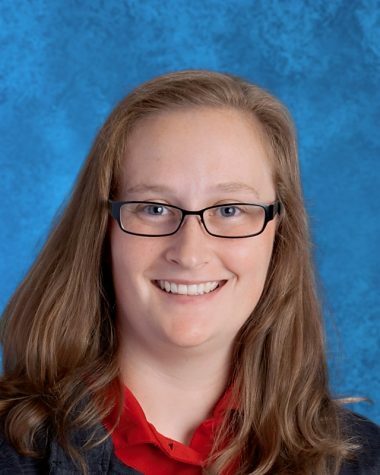 “I was excited to start working with a good group of students.” Her helpful advice for students is that they should make time for the things they are interested in, but make sure to stay on top of our schoolwork. Prince Williams is from Kossoh Town in Sierra Leone. He attended Freetown Theological College and is a priest at the Episcopal Church of Washington, D.C., and is now one of Madison’s security guards. Williams has been working in Fairfax County for 20 years. Before Madison, he worked at Fairfax County Adult High School. Coming to Madison and working with a different age group was a big shift. “There is a contrast between the last school I worked at, and Madison,” Williams said. 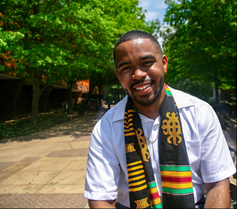 “Madison is very unique.” Williams wishes to advocate for those that face social and economic constraints, and wants students to realize how fortunate they are to be receiving an education. 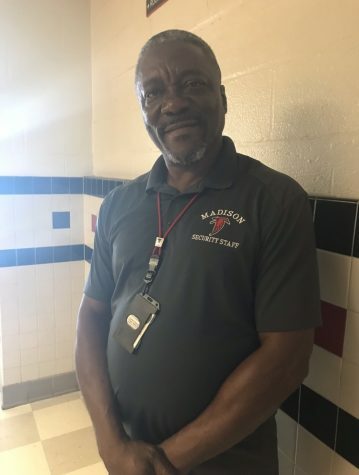 He also believes that the students at Madison are approachable and respectful, and he wants to form a bond with the student body. Tania Contreras has been teaching for 12 years. She attended George Mason University as well as George Washington University. 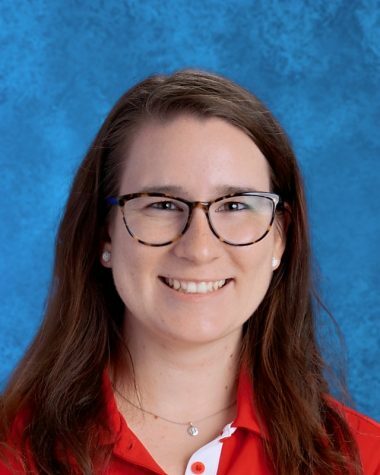 Before joining Madison’s staff, she taught at Hughes Middle School, Holmes Middle School, Longfellow Middle School, Luther Jackson Middle School, Cedar Lane High School and West Potomac High School. “My first impression of Madison was that the school spirit was great and that the staff was really nice,” Contreras said. In addition to having an impressive teaching record, Contreras is also left-handed. 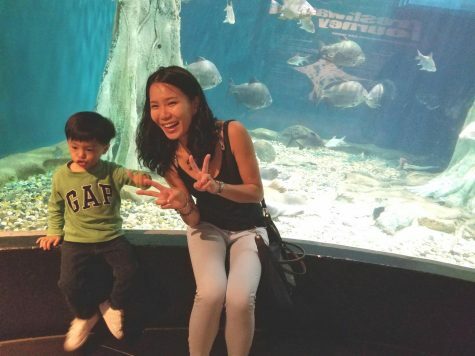 She is very excited about having the opportunity to collaborate with her coworkers and attend school events with her husband and son. Michelle Taylor has been working in FCPS for 21 years. She graduated from both James Madison University and George Mason University. 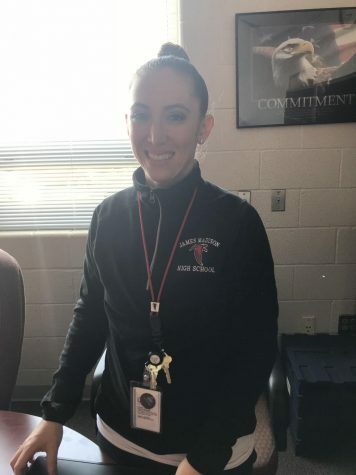 Before becoming an assistant principal, she worked as a band director at Oakton High School for 12 years. “Madison is an exciting school and the students are very welcoming,” Taylor said. “I love the school spirit.” Taylor loves the performing arts, as well as watching the school’s marching band. She is very eager to learn about Madison and its students, and be a part of the community. Devin Simmons recently graduated from George Mason University, and this is his second month of being an instructional assistant at Madison. He is an avid fan of anime, comics, and cartoons. 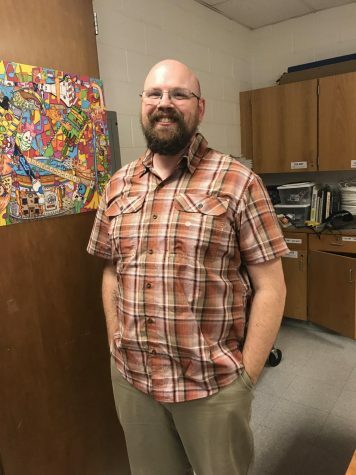 When he first came to Madison, he “noticed how diverse it was and how engaged the staff is with the students…it was very different from my high school.” His advice for students is to do what makes you happy. “…especially with graduating seniors,” Simmons said. “…there are going to be a lot of times when you feel like you are doing things for other people. But you must always make time to do what you think is best for you. Go out on a limb, be adventurous, be different.” He also wants to let students know that he is available if they need to talk about anything, because, Simmons said, “…I was in their shoes only four years ago, so I am not too far removed from what goes on in a high school.” Simmons is very eager to begin his career here at Madison. 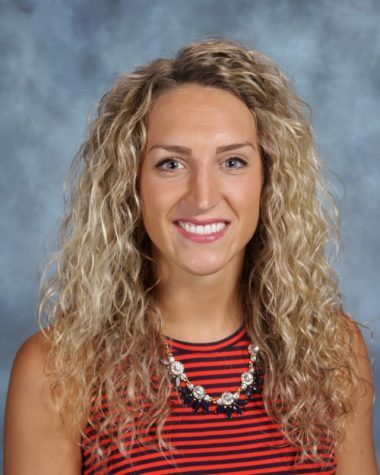 Taylor Oakley has been a school counselor for four years, previously working at Osbourn Park High School in Manassas, Va. 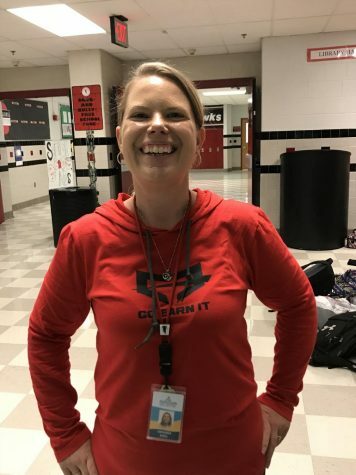 Along with being a counselor, she was also an assistant coach for the track and field team, and will be assuming that same position here at Madison. Oakley attended the University of Albany and was a cheerleader. Oakley enjoys being active by riding her bike and also loves to travel all around the globe, with 15 different countries already under her belt. Liz Liebman is a new librarian at Madison. Before joining this school’s staff, she was a librarian at Langley High School, and then Poe Middle School. Liebman studied at Hobart and William Smith Colleges and Florida State University. “There are so many things I love about being a librarian,” Liebman said. “One of the best things is helping someone find a book. I also love that I learn new things everyday.” Along with that, her biggest pet peeve when it pertains to the library is when students decide to eat there. 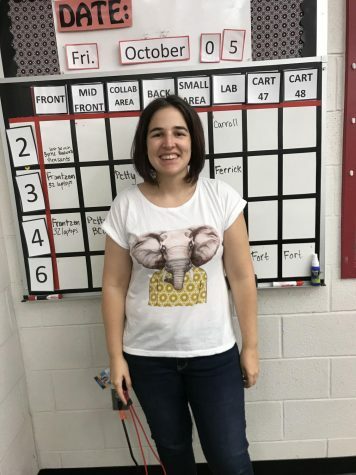 Outside of school and her duties as a librarian, Liebman has two cats, and she is an avid Star Wars fan, even attending a 20 hour movie marathon in theaters when The Force Awakens came out. Sheryl Schneider is a new Crisis Resource teacher here at Madison. Schneider attended the University of Connecticut. Before Madison, she taught in New Jersey for four years, and then began teaching in Virginia in 2014. Upon coming to Virginia, she was a Special Education teacher at Belvedere Elementary School in Falls Church. Schneider used to be a figure skater. Additionally, in her free time, she enjoys doing Orange Theory. Schneider is “excited to learn about Madison’s culture.” “Everybody [at Madison] seemed super friendly and like one big family,” Schnieder said.